Discover more about private investigators capability, employment and regulations in Hendersonville. Welcome to International Counterintelligence Services, founded in 1967. The success of many cases depend on how you decide to respond. It has proven critical to hire a private investigator quickly. You can receive a free and confidential consultation 24 hours a day with one of our on-call licensed private detectives. We can be reached any time via our Toll Free line at (888) 223-6494 or through the online free consultation system. ICS provides a full range of investigations services for the City of Hendersonville and all surrounding metropolitan areas. Submit a free online private investigation consultation form, or call our toll free number to speak to a private investigator at (888) 223-6494. 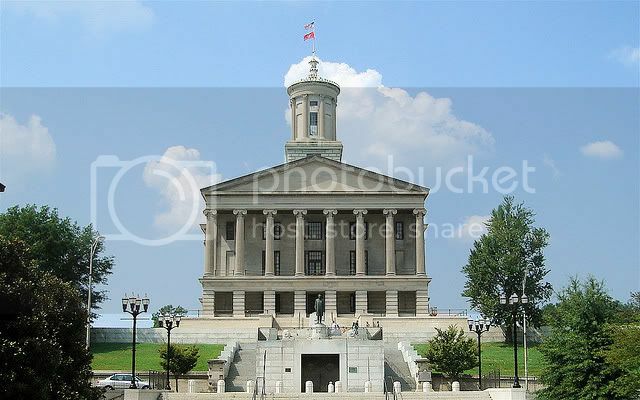 A private investigator in Hendersonville must apply to the Tennessee Department of Commerce and Insurance and pass licensing requirements, including a thorough background check. While many Hendersonville private investigators come from a law enforcement or military background, it is not a requirement for employment as a private investigator. You can rest assured that any Hendersonville Private Investigator assigned to your case with ICS are fully licensed and insured in accordance with Hendersonville laws and participates in any required continuing education. Tennessee has a population of more than 6.4 million residents, and its crime rates are accordingly higher than the national averages. Regarding index crimes, which include both violent and property crimes, 42.04 were reported last year per 1,000 residents. Broken down, there were 6.08 violent and 35.96 property crimes, compared to 3.9 and 29.1 nationally. The City of Hendersonville, however, with its population of 52,000, is a very safe city, ranking higher than 48% of cities in the U.S. Of the only 19.68 index crimes reported per 1,000 residents, only 2.31 were violent and 17.36 were property-related. This is enough crime to warrant a true need for supplemental resources in crime investigation. Hiring a private investigator will ensure that a highly trained, experienced professional will be dedicated to your case all the way to the end. In order to conduct private investigations in Hendersonville, all private investigators must comply with local and federal laws. Impersonate Law Enforcement - Private Investigators in Hendersonville cannot carry a badge, wear a uniform or say anything that might imply that the private investigator is a police officer or federal agent. Make an Arrest - Private Investigators in Hendersonville cannot legally make an arrest. If there is evidence that suggests an arrest should be made the investigator should contact law enforcement. Wiretapping - Wiretapping is illegal without a proper warrant. Private Investigators cannot tap a phone. Trespassing - Private Investigators cannot break and enter onto private property. Do you need a divorce investigation conducted in Hendersonville? Divorces are never easy and are usually accompanied with more headaches the more you have to lose. Determining assets, child support, child custody, alimony all can play a factor when you make the decision to move on. Don't let your soon to be ex-spouse take away what you deserve. Judges make decisions based on facts and evidence and the more facts and evidence you have to support your side of the story the smoother the divorce will be. International Counterintelligence Services has been providing divorce investigations in Hendersonville since 1967. Call now and learn more about Divorce Investigations and see what we can do to help you get what you deserve. If your located in Hendersonville and have been trying to get a delinquent parent to pay child support without any results then ICS can help. Your child deserves the care they need and it isn't right if a parent is purposefully avoiding paying for that child. In other circumstances you may need an adjustment to your current child support payments due to life changes in your ex spouses life. Before a judge will make any changes towards child support you need evidence to back up your claim. Don't find yourself in a courtroom without any evidence. ICS can help create you a personalized action plan that will help you obtain the information and facts to back up your case. Call today and speak with a private investigator about your child support investigation in Hendersonville. Are you located in Hendersonville and need help with a background investigation? Are you located in Hendersonville but need a background investigation conducted somewhere else? Background Investigations are useful tools that a private investigator can offer to their clients. If you need information on past criminal history, employment history, places of residence, bankruptcy's and more then you may want to consider getting a background investigation in Hendersonville. Sometimes a background investigation is everything you will need, where in other circumstances a background investigation is only a starting point to a much more in depth case. To learn more about Hendersonville background investigations contact ICS and speak with a private investigator today.